If you believe that it costs more to change the oil in a Ferrari than a Honda Civic, then you would be correct. Depending on your model and year of Japanese flavor, you are using about 3.5 to 4.5 quarts of oil per change. On the other side of the coin, the Ferrari 360, for example, requires about 10.5 quarts per oil change. We hope that within the first two sentences of this article, that you are starting to get why a Ferrari oil change costs a little more than a standard vehicle. To make it really easy for most people, we are going to round some numbers. We are going to assume that our normal car, or car A, requires 4 quarts of synthetic oil. Car B, the Ferrari, requires 10 quarts of synthetic oil. Another assumption we are also going to make is that the cost per quart of oil is $8.00. The Ricambi kit includes an oem Ferrari oil filer, 2 copper crush washers, and 1 filler plug. Well there you go everybody. 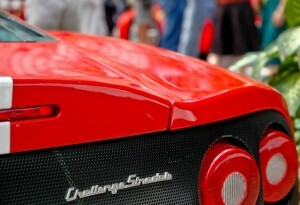 Some facts on why an oil change costs more in a Ferrari than a Toyota. When just looking at the cost of materials for the service, the Ferrari already costs almost $90 more than a standard eco-box. Now if you were to take your automobile of choice to a dealer for service, more than likely you are going to pay more than these costs. A typical synthetic oil change will run $60-80 these days. For a Ferrari, again, it is slightly more. Many times you’ll pay between $199-299 for an oil change at a Ferrari dealer or independent shop, but when starting from $125 in just materials, that is about on par with margins on your Volkswagen’s synthetic oil change. Even better, some Ferrari dealers have been known to run $99 oil change specials. Your best bet is to contact your local dealer or independent shop and get quotes on these items. If you need more information, check out our article, Ferrari service costs, and find out how untrue many of the myths are about Ferrari maintenance costs.